Session start times may change slightly depending on the size of the Mini Champs entry. The meet director will notify each participating club in the form of an e-mail by Saturday, March 1. Open to athletes from the following invited USA Swimming Clubs: FAST, FGAC, JFD, TIBU. Swimmers will compete at the age attained on the first day of the meet. It may be necessary to limit entries due to time constraints. No 14&Under swimmer may enter an event if they have equaled or bettered the PVS 14&U SC Championship qualifying standard for their age as of 2/28/08. No swimmer may enter this meet if they have achieved 3 or more qualifying standards for the PVS 14&U SC Championships for their age as of 2/28/08. No 15&Over swimmer may enter an event if they have equaled or bettered the PVS Short Course Championship qualifying standard for their age as of 3/7/08. 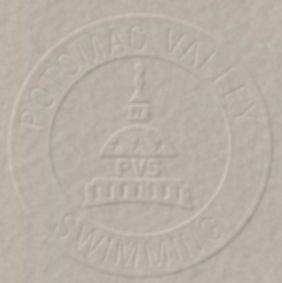 No swimmer age 15&Over may enter this meet if they have achieved 3 or more qualifying standards for the PVS Short Course Championships as of 3/7/08. Current United States Swimming rules will govern this meet. A contestant may enter no more than three events per session, totaling no more than six individual events for the meet. All events will be timed finals. Please see eligibility rules above. Dive-over starts may be used at this meet at the discretion of the Meet Manager and/or Meet Referee. Coaches are requested to review Guidance for Dive-Over Starts for Coaches. Officials are requested to review Protocol for Dive-Over Starts. A determination whether to do so will be made shortly after entries for this meet have been processed. Inclusion Policy for Swimmers with a disability. Awards for 1st through 8th place will be given in all 10&U, 11-12, and 12&U events. Seed times are short course yards. Positive check-in will be used at the meet manager’s discretion, depending on the number of entries received. Information regarding check-in times will be available the week prior to the meet in the form of an e-mail to each participating club. The prescribed Potomac Valley warm-up procedures and safety policies will be followed. It may be necessary to assign lanes for warm-up. Information regarding assigned warm-ups will be available the week prior to the meet in the form of an e-mail to each participating club. Clubs will be responsible for providing their fair share of timers, and will be assigned lanes by the meet manager. Certified officials who wish to work at this meet should contact Bob Richardson at bob@tomatoelectric.com. Coaches are responsible for the conduct of their swimmers, both at the meet and in the warm-up/warm-down area. Inappropriate behavior will result in suspension from the meet and from the Rockville/Olney Swim Center. There will be no admission charge. Heat sheets will be available for $1.00 each. Fees are $5.00 per individual event. Any club that enters an unregistered athlete, falsifies an entry in any way, or permits an unregistered coach to represent them, will be fined the sum of $100.00, and no further entries will be accepted from the club until that fine is paid. In the subject heading, write “RMSC Spring Finale Entry - ****” (with club initials in place of ****). Include the entry file from Team Manager, as well as reports by SWIMMER and by EVENT (preferably as a Word for Windows document). Include total number of swimmers and total number of events, along with contact information (name, phone number, e-mail) of a club representative in the body of the e-mail. Make checks payable to MCRD (Montgomery County Recreation Dept.). Each club is requested to remit one check to cover the entry fees of the entire team. Please do not send cash. Entry fees are due with entries. Entries are due by 5:00 PM on Tuesday, February 26, 2008. NOTE: The above date is the deadline for clubs to submit their entries to the Meet Director. Therefore, clubs usually set an earlier deadline to receive entries from their swimmers. Check with your club for this information. No late entries will be accepted. Deck entries will be accepted provided there is an empty lane available. A heat will not be created for a deck entry. All events may require positive check-in.